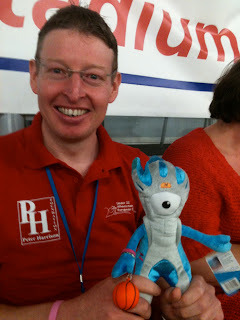 I thought it would be fun to get a mascot for the Paralympics. 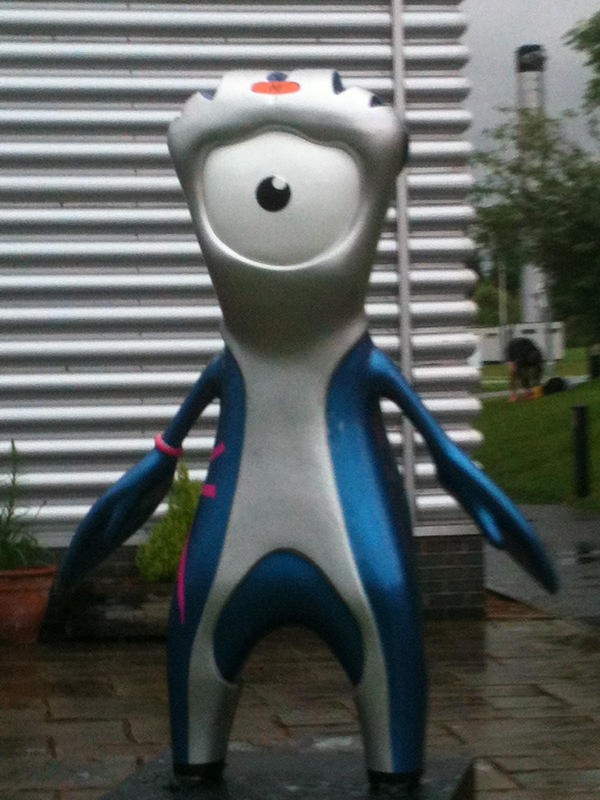 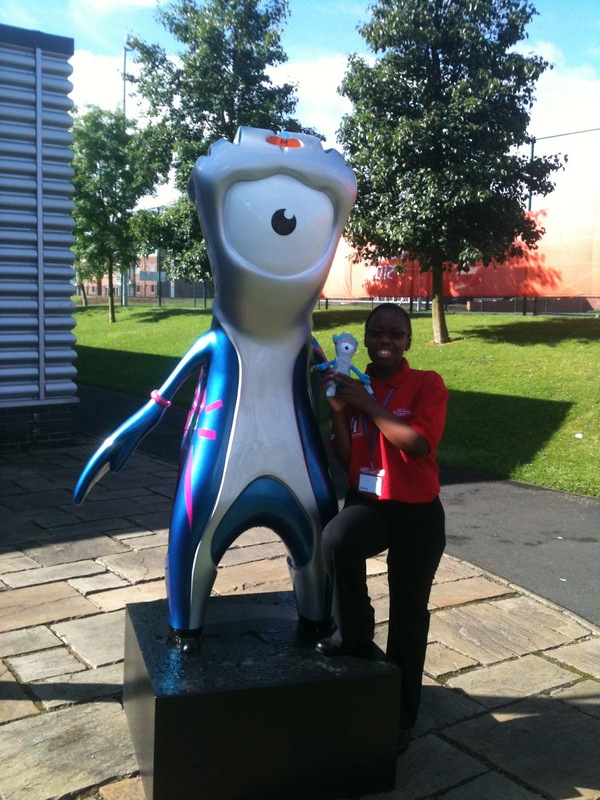 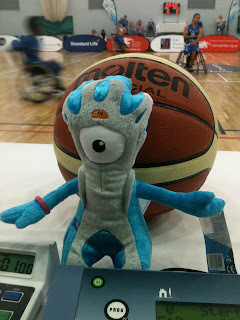 My Mandeville mascot has been on his travels and I have been tweeting the pictures. 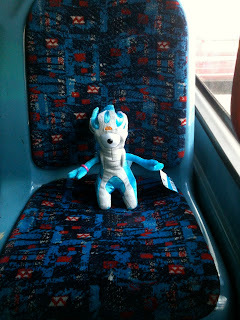 His first trip was on the bus in the West Midlands. 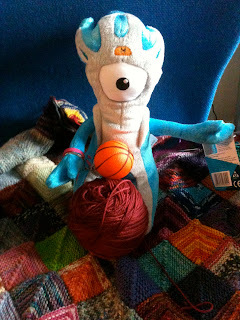 Then he went to MAC for a spot of knitting. 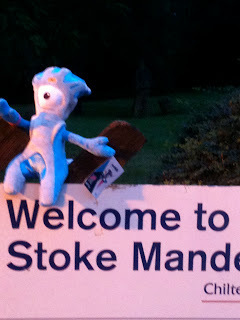 After that he went further afield when we arrived at Stoke Mandeville train Station. We got to find out more about how and who set up Stoke Mandeville. 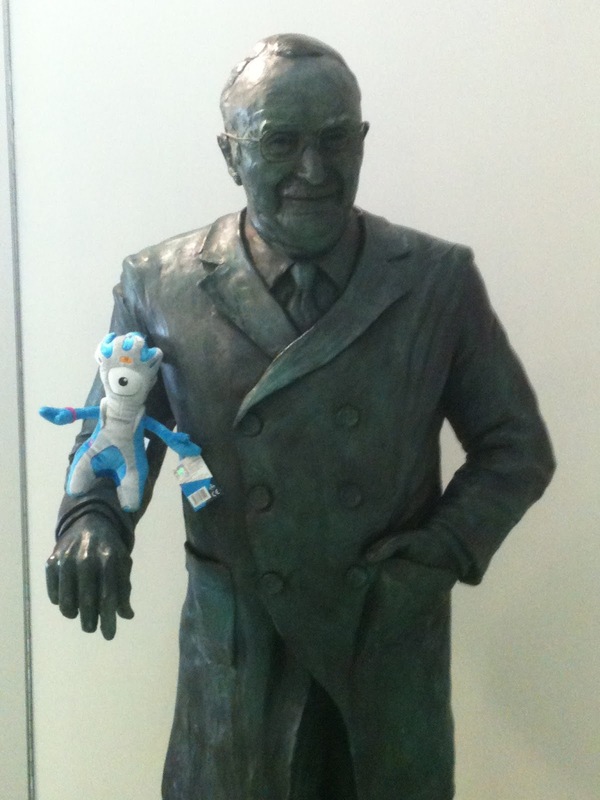 This is Ludwig Guttmann. The statue wasn't very tall or was that me that isn't very tall. Mandeville managed to watch some of the action at the European U22 Championships. 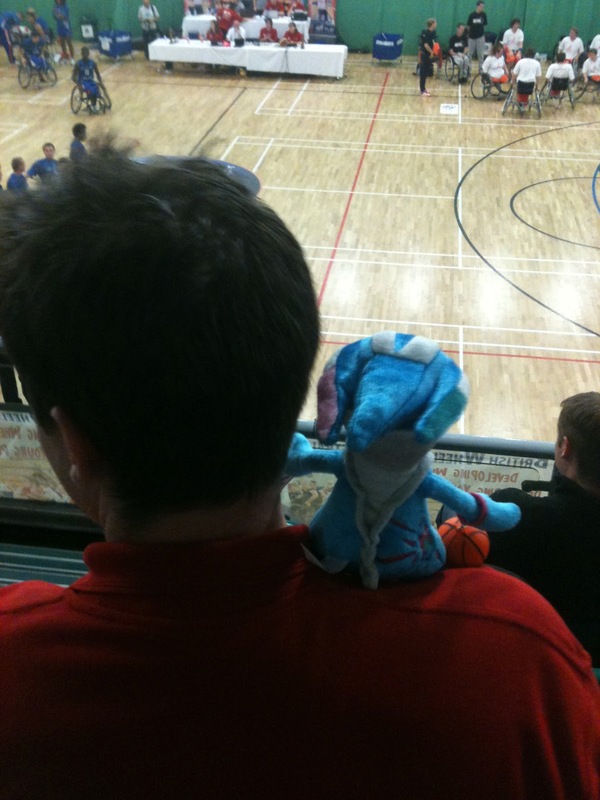 He did want to help me officiate, but I had to say no. After the action we went out in the sunshine and met a carbon fibre Mandeville. 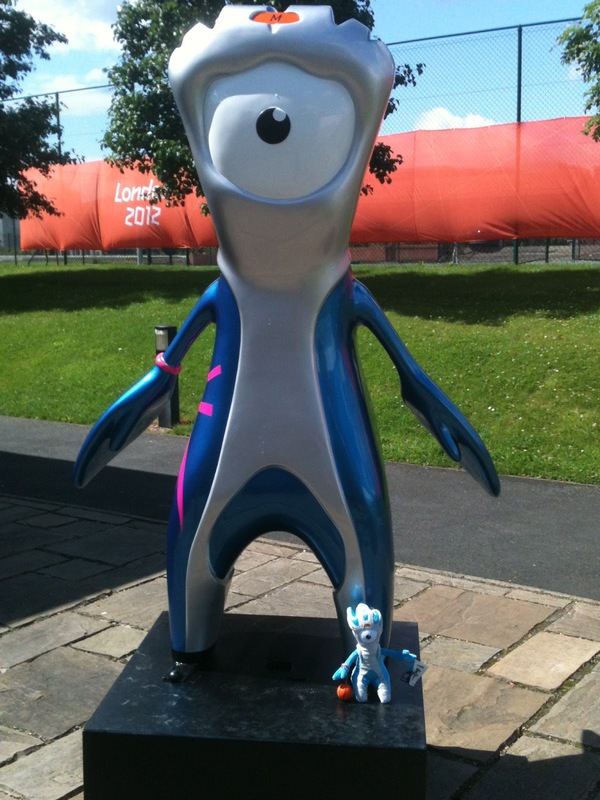 I thought I would get out of the way and leave Mini me to the limelight. 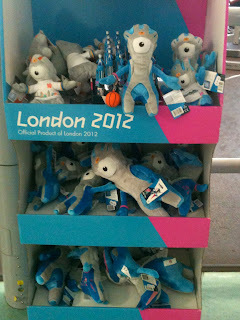 Can you spot my Mandeville amongst all his mates? 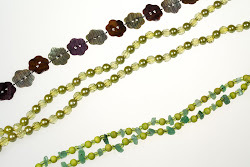 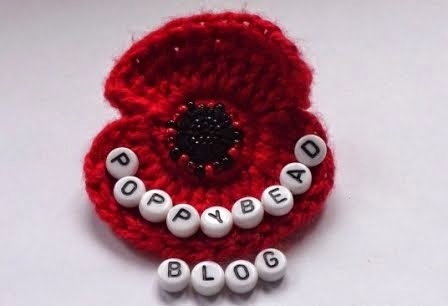 After a long week of officiating Mini me relaxed and helped with some knitting and jewellery making. 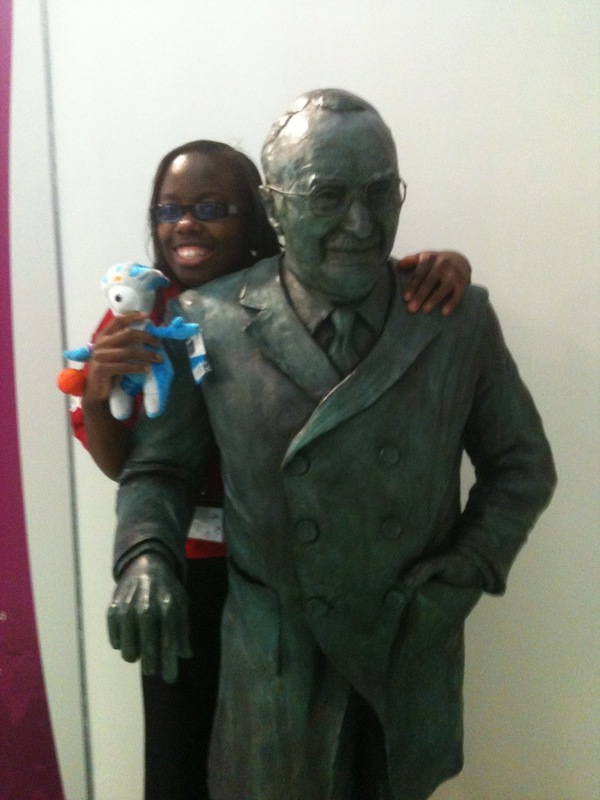 Woodland Wilf wanted a race in Stafford so Mini me couldn't say no. 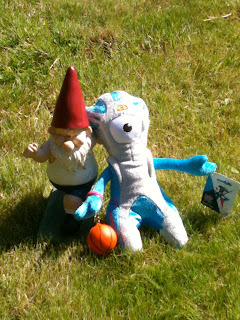 It was a tight finish but Mini me won against the garden gnome. 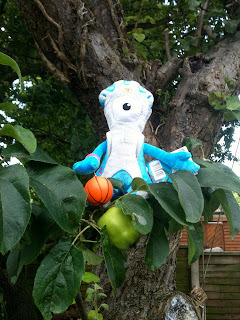 Mini me whilst in Stafford managed to do some scrumping of apples. 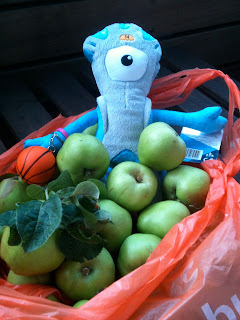 He was rather successful and will be turning these into apple sauce. 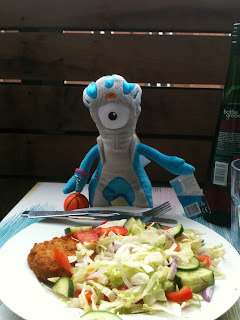 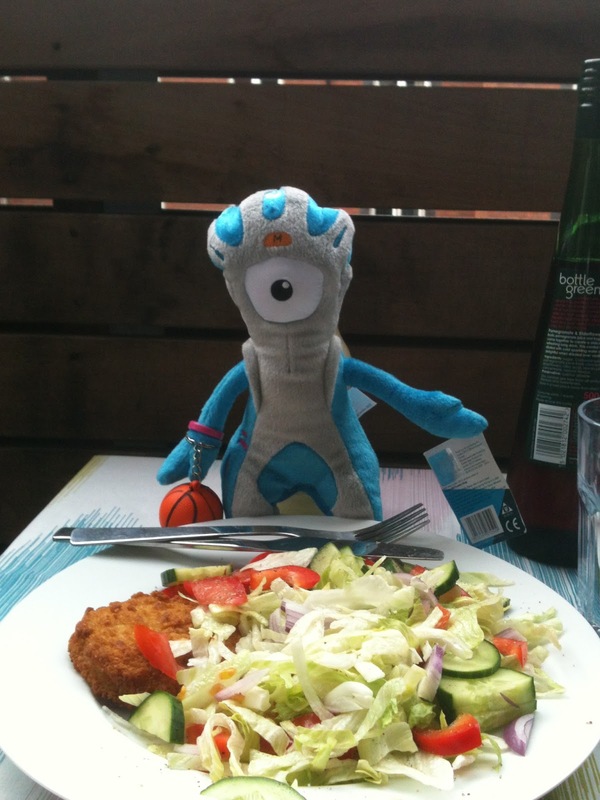 On the day of the day of the opening ceremony Mini me enjoyed a late lunch in the West Midlands. 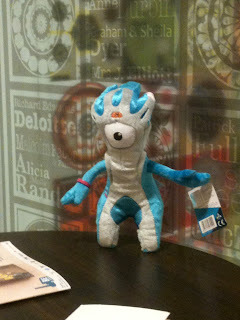 I hope you have enjoyed the story so far. To be continued……………………….